Are you suffering from dental phobia? Fear of the dentist may seem embarrassing for some patients, but know that you are not alone. As many as 15% of the American population suffer from dental phobia, and it is a very real problem that can have a catastrophic effect on your dental health. Dental anxiety manifests in many different ways. Perhaps you experience sweaty palms, a rapid heartbeat, stomach pain and nausea when you think about attending a dental appointment. Alternatively, you may make up every excuse possible to avoid making it to your dental appointment. However severe your dental phobia, failing to attend your regular dental check-ups almost certainly means that your dental health is suffering. Decay, periodontal disease, and even some oral cancers are usually detected during your regular dental exams. Thus, avoiding the dentist can put the function and appearance of your smile, and even your life, at risk. In order to help to those patients that suffer from dental anxiety, we offer sedation dentistry techniques. Sedation dentistry enables even the most anxious or scared patient to tolerate their dental appointments and receive important dental treatments. Sedation dentistry is the term used to describe the use of prescription drugs to induce a state of calm relaxation, so that the patient can undergo a dental appointment or procedure. There are different levels of sedation which can be offered depending on the severity of the anxiety of the patient and the type of dental work that is going to be carried out. For example, a simple check-up will probably only necessitate the lightest form of sedation, while invasive or long restorative dental treatments will almost certainly require a deeper level of sedation for the patient to remain comfortable. The lightest type of sedation is usually administered using nitrous oxide delivered via a mask placed over your nose. You will feel relaxed and slightly light-headed, but the effects will wear off as soon as you stop inhaling the gas. Moderate sedation usually involves taking an oral medication around an hour ahead of your appointment. This will cause you to feel drowsy and disorientated, and you will have little awareness of what is happening during your procedure. The effects can take several hours to wear off. Deep sedation medications are delivered intravenously and will put you on the edge of consciousness throughout your procedure. You will not be aware of anything happening around you, nor will you be able to remember the appointment. The effects of deep sedation can last a number of hours, so you will need someone to drive you home and wait with you until you feel fully aware again. In some severe cases, we may recommend that you consider a general anesthetic which will render you unconscious throughout the procedure. Many people are understandably concerned about the safety of sedation during dental appointments. However, when administered by a qualified and experienced dentist or anesthesiologist, it is usually extremely safe, and the benefits far outweigh any risks. You will be closely monitored throughout your procedure to ensure that you are under just the right amount of sedation and are not experiencing any contraindication to the drugs used. The slight risks associated with the use of sedation include nausea and vomiting, hyperactivity and hypoxia, a condition where not enough oxygen reaches the blood. At Rippe Dental Associates, we are trained to be able to recognize the signs of any potential problem and deal with them quickly and effectively. Serious complications are exceedingly rare. If you suffer from fear of the dentist, your dental health doesn’t have to suffer as well. 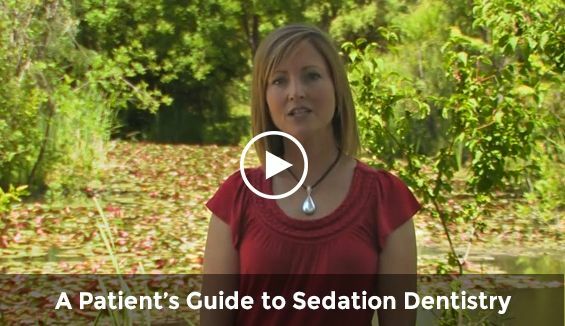 Please contact our Centennial, CO office today to discuss sedation dentistry in further detail at 303-779-9876.